Ideality describes the disposition towards perfection, towards beauty and refinement in all aspects of life. 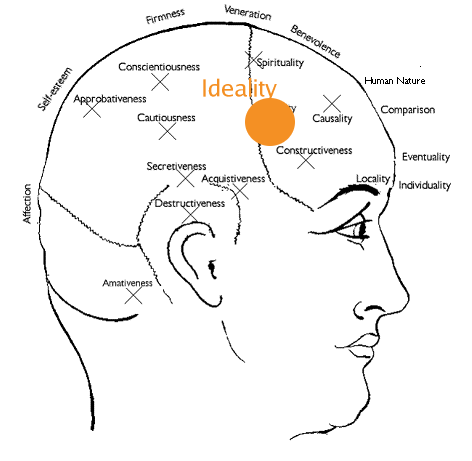 Ideality is located on the temples, above and behind Constructiveness . Ideality creates the width of the temples; a weak Ideality means narrow temples. Ideality + weak Perceptive faculties: quest for immaterial beauty - literature, poetry,..